The latest in the popular Mastermix collection offers a great selection of mixes, remixes and mash-ups created for DJs only. 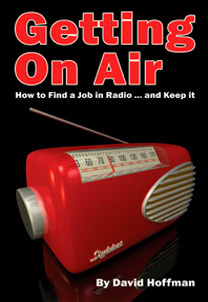 Featuring all of the current chart hits such as ‘C’Mon’ from Ke$ha and ‘Radioactive’ from Rita Ora, as well as retro classics from David Bowie, Bobby Brown and even Frank Sinatra. Kicking off the collection is the ‘Chart Breakers’ mix, complete with ‘Let It Roll’ from Flo Rida, ‘Drinking From The Bottle’ from Calvin Harris and Tinie Tempah, ‘Radioactive’ from Rita Ora and the smash ‘All Around The World’ from Justin Bieber and Ludacris. A mix that is definitely guaranteed to get the party started! We go a bit ‘old skool’ now with the ‘90’s Dance Party’, this 7 track mix contains some of the best bits of the decade including ‘Two Can Play That Game’ from Bobby Brown, ‘Please Don’t Go’ from KWS and ‘Horny’ from Mousse T vs. Hot ‘N’ Juicy. Going even further back in time we join ‘A Swinging Party’ for a 5 track mix that contains some of the most loved retro classics, such as ‘Come Fly With Me’ and ‘You Make Me Feel So Young’ by Frank Sinatra and ‘Volare’ by Dean Martin. Simply swinging! All of will.i.am’s biggest smashes are mushed together now in CD1’s ‘All Mashed Up: will.i.am’ mix. Featuring ‘This Is Love’, ‘Heartbreaker’, ‘Check It Out’ and the number one with Britney Spears ‘Scream And Shout’ amongst others. A guaranteed floorfiller collection! Moving swiftly on we go into ‘David Bowie 1979-1986’ with all of his lively classics including, ‘Blue Jean’, ‘China Girl’, ‘Ashes To Ashes’ and ‘Under pressure’ with Queen. A great collection that will take revellers back in time! Rounding off CD1 is ‘DJ Beats: Fools Gold’ from the Stone Roses before ‘Extended Floorfiller: Jump Around’ from House Of Pain. Starting off CD2 in style now is ‘Don’t Stop The Pop Party!’ Livening everything up are tracks from LMFAO, Amelia Lily, Nicki Minaj, Black Eyed Peas and the smash ‘Say Nothing’ from Example. The ‘Commercial Dance’ collection follows on nicely, providing remixed editions of current chart toppers. Featuring ‘Radioactive (Zed Bias Basement Mix)’ from Rita Ora, ‘Change Your Life (Bimbo Jones Extended Mix)’ by Little Mix, and ‘C’Mon (Cosmic Dawn Club Mix)’ from Ke$ha. The ‘Destiny’s Child Reunion Mix’ is up next and shows us all why these three ladies keep making pop history. Including some of the best (if not all of the best) early tracks, from ‘Bills Bills Bills’ and ‘Soldier’ to ‘Jumpin’ Jumpin’’ and ‘Girl’, not forgetting, the amazing ‘Bootylicious’! The only Triple Tracker of Issue 321 is from Emeli Sande with ‘Clown’, ‘Beneath Your Beautiful’ with labyrinth and ‘Read All About It Pt. 3’. A great selection of her songs, which DJs can use for almost any occasion. Cd2 comes to a close with two brilliant mash-ups, firstly ‘Owl City vs. Kelly Clarkson’ with their tracks ‘Shooting Star’ and ‘What Doesn’t Kill You’. Leading into ‘fun vs. Bruno Mars’ with their numbers ‘We Are Young’ and ‘Just The Way You Are’. 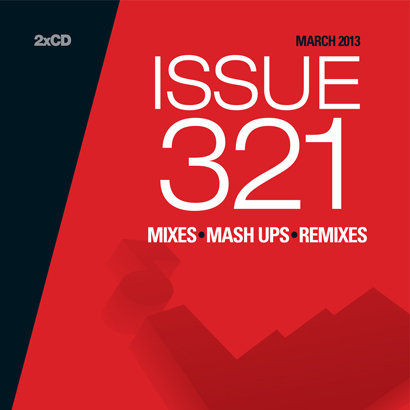 Issue 321 is available now from Mastermix on digital download or CD priced at £18.38.